Michel Barnier, the EU’s Brexit negotiator strongly criticized the UK’s Brexit proposal of Prime Minister Theresa May over the weekend. The deal that the Tory government has put forward, known as the now infamous ‘Chequers proposal’ already sparked the resignations of then Foreign Secretary Boris Johnson and former Brexit Secretary David Davis and is seen by leading ‘Brexiteers’ as inadequate. 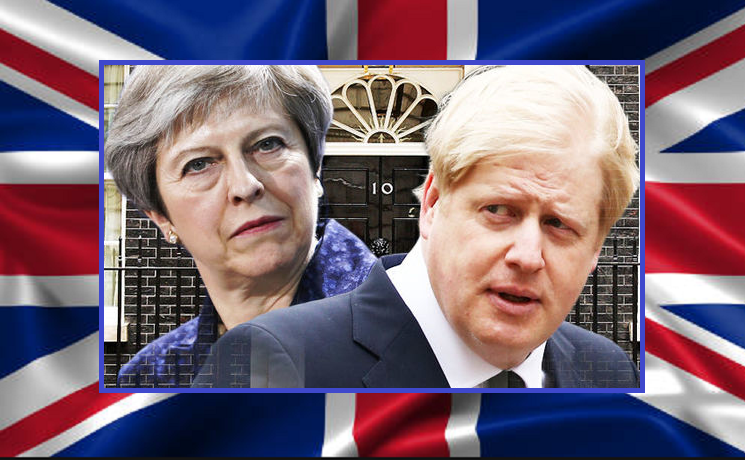 Today, former Foreign Secretary Mr. Boris Johnson decided to up the ante on Ms. May a bit more when he used is the first column of the new political year to attack her Brexit plans, calling them entirely unsatisfying for the UK. Related coverage: <a href="https://thegoldwater.com/news/33372-UK-PM-May-Urges-Boris-Johnson-To-Apologize-For-Muslim-Comments-Video#33410"> UK - PM May Urges Boris Johnson To ‘Apologize’ For Muslim Comments (Video)</a>. "The whole thing is about as pre-ordained as a bout between Giant Haystacks and Big Daddy; and in this case, I am afraid, the inevitable outcome is a victory for the EU, with the UK lying flat on the canvas and 12 stars circling symbolically over our semi-conscious head." Although the British Prime Minister Mr. May will have to present her plan to Parliament for a vote before any Brexit deal can be finalized and many see her not reaching the necessary majority to do so, she said she was "confident" a "good deal" could be reached on Brexit. Although i dont believe Johnson would be the best PM, he sure would be funny. GOD BLESS BREXIT! GROW A PAIR DITCH THE PUPPET MAY AND GET ER DONE PROPER… BREXIT THAT IS! HELLO NIGEL FARAGE… BIG FAN HERE!!! Brussels- the whore of BABYLON! !